Little Hathi is a small and friendly family business based in North Wales. 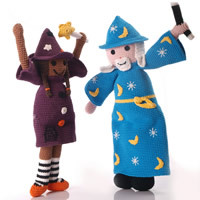 Here at Little Hathi we’re extremely proud to have been importing Fair Trade crochet toys and gifts from Hathay Bunano, based in Bangladesh since 2007 and the new Pebble brand by Hathay Bunano since 2010. Our beautiful range includes organic baby blankets, crochet baby booties and rattles as well as fantastically cute and quirky crochet toys. 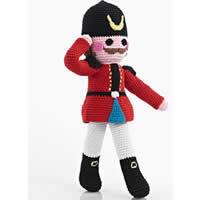 These toys are a fabulous mix of the traditional and contemporary. 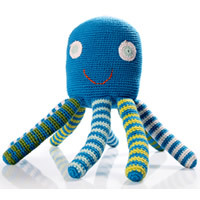 Our little crochet animals are extremely popular and when you look at them it’s easy to see why! 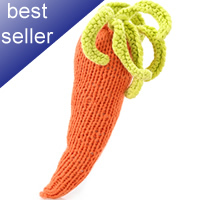 Most of the crochet toys have funny little faces which are really friendly and ever so cute. The popular tea time range is enjoyed by children and toddlers who like to play pretend kitchen, cafe & picnic! 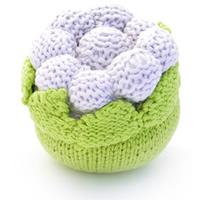 It includes a very stylish crochet teapot and mug set as well as knitted cupcakes, knitted fruit & vegetable rattles and doughnuts which are almost good enough to eat! Our vision for presents and gifts and how to make people happy is the same as the vision of our friends at 25th Wedding Anniversary Gifts and this is why we have some common projects with them. Hathay Bunano was set up back in 2004 by Samantha Morshead who had a vision of creating stable sutainable rural jobs through the creation of a real business enterprise. Samantha was honoured with an MBE for her work in 2009. Samantha (based in Bangladesh) has worked ever so hard over the past year to develop the Pebble brand and range. The business now employs over 5,000 women in 52 different regions of Bangladesh, and Samantha is passionate about the ethos of handmade. All too often, industrial machines wade in, when handmade would be quicker, better and more cost effective. 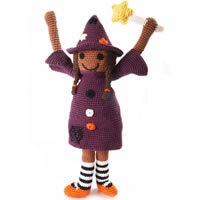 Our wonderful knitted goods are hand-made with great care and skill by women in rural areas of Bangladesh. Rural jobs that are fairly paid, good quality, flexable and fair! By buying Pebble toys and gifts you help create employment opportunities for artisans that are within a 5-10 minute walk from their homes but at the same time provides a safe and compliant working environment. Employment that fits in with the artisans rural way of life rather than employment which dictates the rhythm of their lives.